Boxing is a popular sport that attracts a huge fan base. This is why it continues to inspire a growing stream of video games. KO Punch is one of the boxing-themed games from Action.io, which treats players to realistic experience. 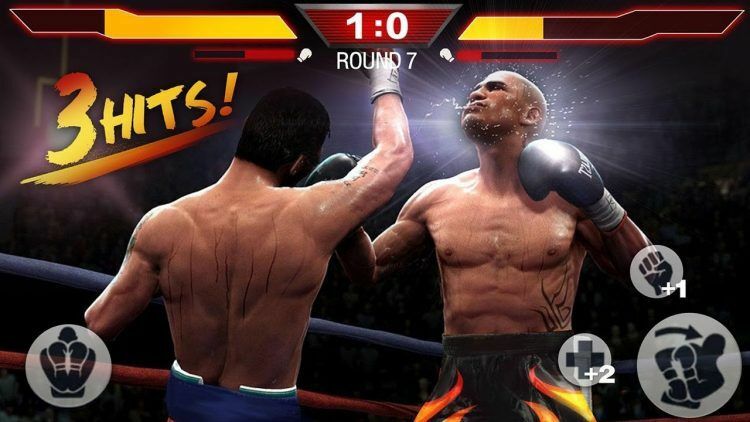 The character graphics are more life-like compared to similar games like Boxing Star and Big Shot Boxing. Competitive bouts last for just 30 seconds per round and you will fight AI controlled opponents. To create an ever more realistic atmosphere, each arena has a spectating audience in the backdrop. Scores depend on hit rate, punches landed and other parameters used to officiate real-world boxing. The best part is that you can enjoy playing KO Punch on PC and Android. During the tutorial stage, KO Punch will show you screen tips that describe the basic gameplay mechanics. Simply tap left or right for straight jabs or swipe across the screen to throw a hook. Hit uppercut by swiping up on either side and you can also swipe down to the left or right to dodge punches. You also have a blocking maneuver and don’t have to worry about footwork. These simple controls make playing KO Punch on PC or mobile very easy even for a beginner. You will take on the role of a club manager, who recruits unknown boxers and helps them pursue a career in the WBC. What KO Punch lacks in play mode options, the game more than makes up for it with a progressive gameplay system. There are dozens of bouts to fight. Enemies keep getting stronger the further you progress. Make sure to equip your fighter with advanced gloves and other gear to deal with formidable opponents. Besides competing in real matches, you can play the practice mode to train your fighters and hone their skills. Win more fights to make your boxers superstars and earn big scores in high-level competitions. Just below your red health bar, there is a smaller white bar, which represents your striking force. This bar drains each time you throw a punch. If you just mash the buttons like crazy, that will drain the power behind your punches. Instead, block more often to recover your punching power before you strike. Even if right and left hooks deal the most damage, avoid using them all the time. Throw some straight jabs and uppercuts into the mix as well. This way, your opponent will have a hard time predicting your next move. Fighters that land the most hits win the round. So, use your defensive moves to prevent your opponent from getting ahead on the scorecard. Bob and weave to the left or right to dodge punches and block those straight jabs. Backing up will not only break up an onslaught of opponent punches but also help you regain your stamina. Winning by knockout is indeed fun and looks cool thanks to the finishing animation effect. However, it is not always necessary. Being too aggressive can sometimes lead to wild, powerless punches or even leave you vulnerable to furious counterattacks. It pays off to fight smart. If your opponent’s stats are better than yours, focus on hitting the most punches instead of winning by knockout.